Have you ever been in this situation? If not, consider yourself lucky. Increasing reports of sexual harassment in the workplace have dominated news headlines in recent months. Several high-profile personalities have been accused of sexual misconduct, casting a spotlight on an issue that can have dire consequences. The response from many of the companies involved has been firm and swift. NBC, for instance, dismissed Matt Lauer less than two days after a formal complaint was filed. That may seem sudden but – according to reports – it was done after NBC conducted a sufficient investigation. As an employer, you should quickly address harassment claims, but you must also ensure that the decision-making process is fair and transparent. If an employee comes to you with serious allegations about a coworker, you might be tempted to fire the alleged harasser right away. After all, you want to send a clear message that sexual misconduct isn’t tolerated. Immediate dismissal shouldn’t be your standard response. It’s critical to conduct a thorough investigation before taking any action impacting someone’s employment. Terminating someone without following adequate procedures or without any credible evidence of misconduct could put you at risk for a wrongful termination claim. However, you want to act quickly and decisively to protect the alleged victim from any further harm, which may require some temporary measures (such as suspending the accused harasser with pay, or moving the accused harasser to an area physically apart from the victim) pending the outcome of the investigation. Handling sexual harassment allegations can be tricky. Let’s look at some useful tips on what to do if you receive a complaint from an employee. Listen closely and let the employee know you take his or her concerns seriously: Listening carefully to the details of a harassment claim is a big step towards getting a clear picture of what occurred. While you’re listening to an employee’s complaint, you should avoid questioning its truthfulness or drawing conclusions. The employee should be doing most of the talking. Prepare a written report outlining the details: Keep a written report that carefully documents the information in the complaint as reported to you by the employee. Make sure the harassment stops: To avoid an uncomfortable situation at the workplace while the complaint is being investigated, consider allowing the alleged harasser to work from home or go on leave. In addition, you should emphasize to the reporting complainant and the accused harasser that retaliation of any kind will not be tolerated. Conduct an investigation: You can select a qualified investigator from within your company to interview the employees involved and possible witnesses, gather evidence and present the facts. If you don’t have a qualified internal investigator, consider hiring an attorney or outside consultant. An outsider has an objective viewpoint that can lend credibility to your defense in the event of a legal dispute. The investigator should prepare a thorough report of all essential findings. If there is credible evidence that a violation of company policy occurred, take appropriate disciplinary action, which can range from a written reprimand to additional training to termination, depending on the circumstances and the outcome of the investigation. Act quickly: You must respond to all incidents or complaints of harassment in a timely manner. The Equal Employment Opportunity Commission (EEOC) urges employers to respond within 48 hours of receiving a complaint. In addition to having a formal anti-harassment policy in place, you can strengthen the harassment prevention and response efforts in your company by training your staff. This will help your employees to have a better understanding of what is considered harassing behavior and how to report it. Your managers require special harassment training as well, so they know how to respond quickly and appropriately to complaints. For more practical harassment prevention tips, click here. Or check out these ways you can avoid a harassment lawsuit. 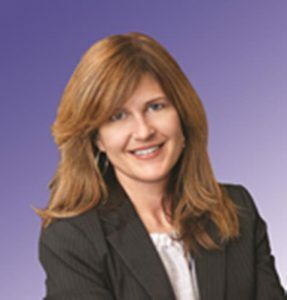 Ashley has practiced labor and employment law for more than 20 years, representing employers in matters ranging from discrimination and harassment litigation to defending FLSA class action lawsuits. In her current role as Senior Employment Law Attorney for ComplyRight, Inc., Ashley handles legal compliance and oversees the teams responsible for researching and developing labor law posting solutions, including the market-leading Poster Guard® Compliance Service, and other HR compliance solutions for businesses of all sizes. Charity is an assistant operations coordinator at Smart Hustle Media. She's currently majoring in Elementary Education and loves to read historical novels, write poetry, and cook all types of food.